Get Your Custom Hair Extension Logo Boxes – Wholesale Hair Extension Logo Packaging Boxes Made in Custom Shapes, sizes, and layouts. We offer quality and error-free packaging services with free shipping in all USA. Custom Hair Extension Logo Boxes: The fashion industry is extremely conscious about its brand and the custom boxes utilised to pack its products. Do you care about your hair extension brand? Do you have innovative ideas to make your hair extension box distinct? It’s not only about making wonderful items but making them a style icon these days. You can’t afford to ignore the colourfulness and beautiful outlooks of our custom box. Custom hair extension logo boxes allow you to obtain your required designs for more appealing outlooks. We fulfil the manufacturer’s requirement for getting the required printing with high-quality standards. Cardboard boxes should have an eye-catching design and strong material. There are many brands available in the market and to stand out from them you have to get high standard personalized hair extension logo boxes. Packaging PAPA is one of the most experienced printing and perfect solution Supplier Company in the United States. We have been serving our huge and fully satisfied customer base with the help of our attractive custom hair extension logo boxes. We opt to provide tailor-made designing facility to let you have the perfect choices. Our experienced staff will guide you to get outstanding custom packaging boxes and our competent designers will let you have the perfect designs. You will be provided a 3D image to approve your desired design and once you are fully satisfied, the production will start and they will be delivered at your doorstep in the minimum turnaround time. Many fashion corporations produce beauty products like temporary hair extensions. 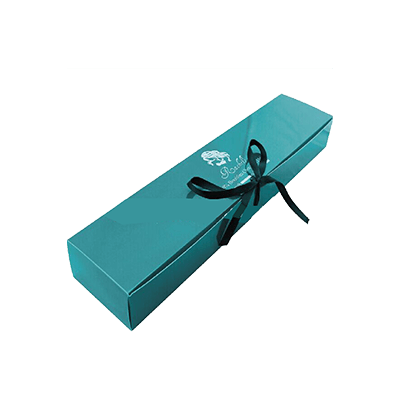 We offer your very own designed boxes in display carrying beauty slogans. You can have your business name, product image and other information printed on the custom hair extension logo boxes. Packaging PAPA provides proficient manufacturing services to cater for the fashion Industry by offering them exciting new designs to make their clients feel special. Place an order to get custom cardboard hair extension logo boxes with all the required information on the packaging. They have always been in trend but getting them was not so easy. But today hair extension has become the most major part of the fashion industry. The companies are always in search of getting the most expert service provider to get the best solution for boxes in the display. Most of them either end up with whatsoever is available or at a very high cost. We feel proud to facilitate our valued clients at every stage with our best possible selections for the packaging of your hair extension. We strive to provide you with our proficient designing services and these high-quality custom printed boxes in the minimum possible time frame and the cheapest rates. Our price with such high standard service can’t be opted from anywhere else. Get the advantage of our unmatched cardboard pillow hair extension boxes and get the best features for your brand. The fashion industry now has a choice to get the desired custom box along with custom sizes and shapes for your hair extension. You can also have the boxes in pillow shape and made up of cardboard material to carry several of your hair extensions in one. Get mind grabbing theme lines mentioned as per the specification of your products. Wit record delivery schedules, trusting us for delivering and handling short run orders will never let you down. With free shipping across USA Place get your orders delivered at your doorstep in express time. Custom Foldable Hair Extension Boxes | Custom Luxury Hair Extension Boxes | Custom Wig Pillow Boxes | Matte Black Hair Extension Boxes | Window Hair Extension Boxes and much more!